Dr. Batson is excited to serve his hometown community with Columbia Healthy Smiles. A 2014 graduate of the University of Missouri-Kansas City School of Dentistry, Dr. Batson enjoys working with the patients and staff of Columbia Healthy Smiles. He looks forward to continuing a family tradition of providing quality oral healthcare for the citizens of central Missouri which began forty years ago by his father. 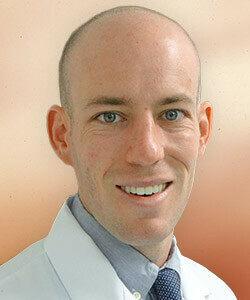 Originally from Columbia, Mo, Dr. Batson attended Hickman High School and then the University of Missouri-Columbia. Dr. Batson feels a deep connection to the city he has called home for most of his life. He and his wife are excited to be a part of Columbia’s community. Dr. Batson is a member of the American Dental Association, Missouri Dental Association, Central Dental Society and the Academy of General Dentistry. Dr. Batson currently serves as the President of the Missouri Academy of General Dentistry. In his free time, Dr. Batson enjoys running, hiking, camping, reading, playing with his dogs and spending time with his family and friends.